A fraud lawsuit brought against former Uber CEO Travis Kalanick by investor Benchmark Capital was sent to arbitration on Wednesday, and Kalanick is feeling blessed. When Prism CEO and Uber investor Steve Russell shared a status on Facebook praising the judge’s order—“Benchmark just got #Benchmarked !! The good guys prevail as judge tosses rogue VC’s ‘creative’ arguments out of court”—Kalanick sounded off in the comments. On Wednesday, the former CEO passed the torch to Uber’s new head, Dara Khosrowshahi, in an all-hands meeting just hours before the lawsuit was sent to arbitration. 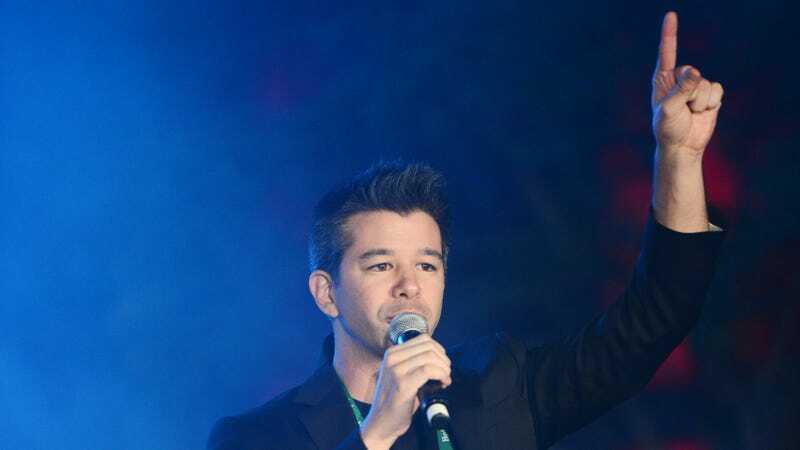 Benchmark sued Kalanick for fraud, breach of contract, and breach of fiduciary duty on August 10. Since then, Kalanick has been in a messy battle with the venture capital firm, but the move to arbitration marks a win for him. This means that rather than a potentially disparaging public deposition, the details of the dispute will remain private.